I bought this simply because it looked interesting, and I was right it is fascinating the way it works. Strong wind has no effect on it, so this lighter will be handy in lighting a gas BBQ, gas top cooker in the caravan or home. 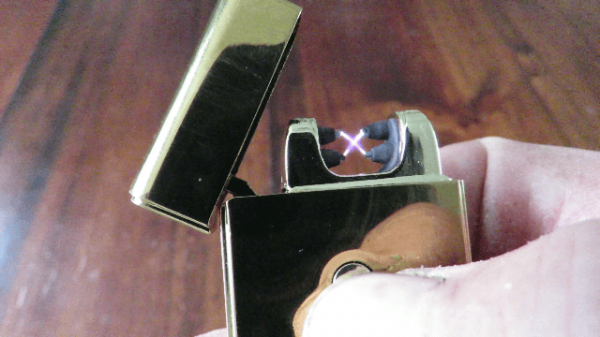 There are quite a few different types of electric lighters on the market today. You can even get a lighter incorporated in a watch, What Next, Smart Phones with an electronic lighter built into its case? I have created a quick YouTube video showing the one I bought. These lighters range in price for around $10 up to $100, the one I bought cast just under $16 delivered to my door.